The implants themselves are titanium screws that are surgically placed into the jawbone where teeth are missing. These metal anchors act as tooth root substitutes. The bone bonds with the titanium, creating a strong foundation for artificial teeth. Small posts that protrude through the gums are then attached to the implant. These posts provide stable anchors for artificial replacement teeth. Implants also help preserve facial structure and preventing bone deterioration that occurs when teeth are missing. Call Center for Dental Reconstruction in Metairie LA Phone Number 504-833-3368 with questions and to schedule an appointment. 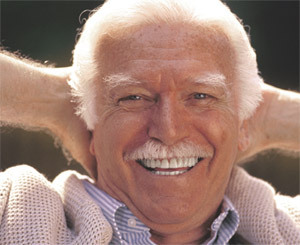 For most patients, the placement of dental implants involves one surgical procedure. First, implants are placed within your jawbone. For the first three to six months following surgery, the implants are beneath the surface of the gums gradually integrating with the jawbone. Dr. Block usually attaches small healing parts that are seen at the level of the gums, allowing the soft tissue to heal. This prevents the need for a second surgical procedure. You should be able to wear temporary teeth and eat a soft diet during this time. After the implant has integrated to the jawbone, the second phase begins. Dr. Block will test the connection of the bone to the implants. The restorative dentist will then fabricate your teeth and attach them to the implant with special, patient customized posts. When the artificial teeth are placed, these posts will not be seen. The entire procedure usually takes time to make a long lasting restoration. Most patients experience minimal disruption in their daily life. Dr. Block uses the most recent advances in dental implant technology. He uses the cone beam ct scan and the intraoral scanner to visualize precisely where to place the implant. He places the xray and image digital information into the Navigation Computer, where he then places a virtual implant. The size and location of the virtual implant is used to guide your implant placement with minimal surgical trauma. Most patients do not need narcotic pain medication due to the minimally invasive methods used. If the bone is adequate, implants can be placed at the time of tooth removal. In specific situations, temporary teeth can be placed so the patient does not have to wear a removable set of temporary teeth. This approach minimizes the number of surgical procedures. Advances in dental implant technology have made it possible, in select cases, to extract teeth and place implants with crowns at one visit. This procedure, called “immediate provisionalization”, is actually performed when the implant is placed. Implants are a team effort between an oral and maxillofacial surgeon and a restorative dentist. While Dr. Block performs the actual implant surgery, initial tooth extractions, and bone grafting, if necessary, your restorative dentist fits and makes the permanent prosthesis. Your dentist will also make any temporary prosthesis needed during the implant process. 5 out of 5 stars based on 29 Dental Implants reviews. Staff are very friendly, I’m seen right away, and am I’m always impressed with the quality of care. Excellent Doctor and Staff !!!! Everyone is very personable and very welcoming. They make you feel very comfortable and right at home! Dr block is the best and the staff is always accommodating to my busy schedule. He is the best oral surgeon in New Orleans. The staff was very professional andDr. Block is the best! Love the office and staff, very friendly , very professional. Would highly recommended! This has been a wonderful experience. I have already recommended Dr Block and I will be back for additional treatment. I love these people!! Always friendly & accommodating!!!! Abscess tooth extraction, bone graft and implant allowed me to return to chewing as I had not done for a long time. The procedure changed my life! Fantastic experience as always. Repeat patient. All staff are very friendly and professional.